Increasing competition and rising student expectations are driving schools to take advantage of innovative technologies to deliver compelling lesson plans and curriculum. There is also a demand to provide access to education for students either confined by illness, living in remote locations or simply seeking the convenience of online courses. The pressure for adopting new technologies is greater each year. Whether it’s innovative interactive technologies for K-12 or distance learning for higher education, our products have you covered. Are the schools you serve seeking teaching technologies that work together seamlessly, so teachers can simply teach? 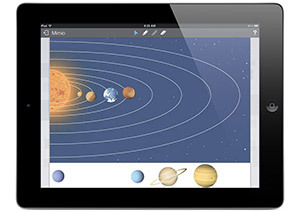 Full integration is a unique benefit of the MimioClassroom™ family of products. Each of their tools is an easy-to-use, powerful technology on its own, but all Mimio products are designed to work together, using powerful MimioStudio™ software. That means less setup work and more time to teach! 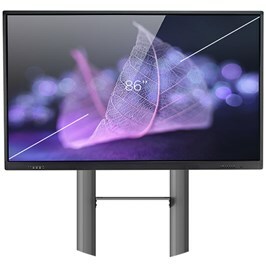 Control an interactive whiteboard from anywhere in the classroom. Create interactive assessments on the spot, capturing pictures or live video. It is all possible with products from Mimio. Help schools make the most of mobile devices they already have! The NEW MimioMobile™ application lets schools get the most from the mobile devices they already have by using them for truly collaborative learning and ongoing formative assessment. The application provides complete collaboration models for students working with each other and with teachers as part of an interactive whiteboard solution. Multiple mobile devices can be used together, along with MimioPad™ wireless pen tablets, MimioVote™ assessment handsets, and interactive hardware whiteboards and devices from Mimio and other manufacturers. Enhance education using technology! Present, record, scan, share with one affordable product! Extend teaching beyond the classroom! Expand the audience for school sports! Telestream’s Wirecast Studio and Wirecast Pro help educators extend the reach of their teaching and increase access to school events with live streaming.This innovative and powerful live production and encoding software accepts input from a wide variety of devices from IP cameras to HD A/V capture cards. Bundle Wirecast with Matrox Video capture devices/cards and Osprey capture cards for complete streaming solutions for education. IT administrators will find this reliable, standalone network appliance simple to set up and integrate into any open Video Management System (VMS) or Lecture Management System (LMS). Matrox Monarch LCS lets you easily define profiles for live streamed and recorded lectures by mixing camera and presentation material from SDI and HDMI sources. Once configured, this versatile H.264 encoding appliance can be operated by anyone at the push of a button. And it won’t break your budget!